My boys were introduced to kayaking this summer and 7 year old Cutie Pie took to it like it was old hack! Hubby and I were both a little surprised, because he’s more of a thinker than an active child, although he does like to surprise us sometimes! Every once in a while the boys try something new. Something I hesitate about introducing them to, or something I really don’t think they would like or be ‘good’ at. I’m finding more and more often if I let them give whatever it is (as long as it’s supervised and deemed safe) a chance, they surprise me and themselves! 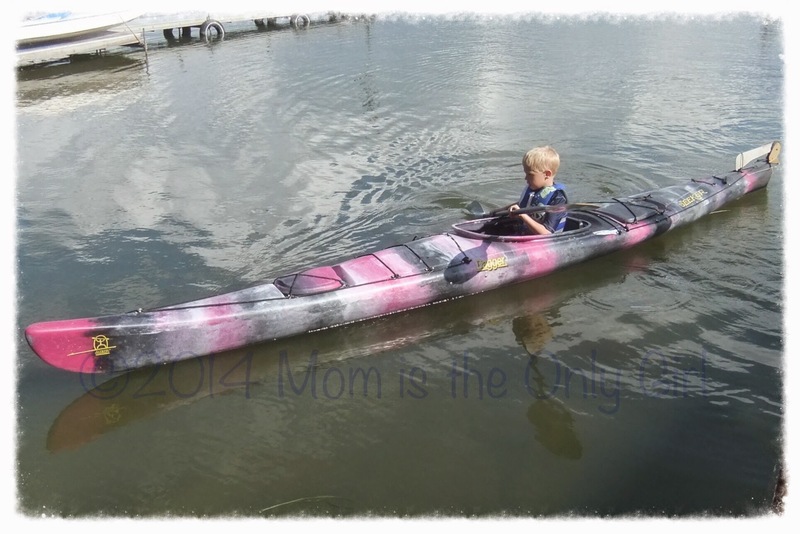 This style youth kayak is basically a hollow kayak that you sit on as it rests on top of the water. It won’t sink if you accidentally flip, and it is surprisingly stable in the water! Hubby tried very, very hard to sink one and couldn’t unless he was totally sitting on top of it. It took 170+ pounds to sink it, 40+ pounds more than the listed weight limit. 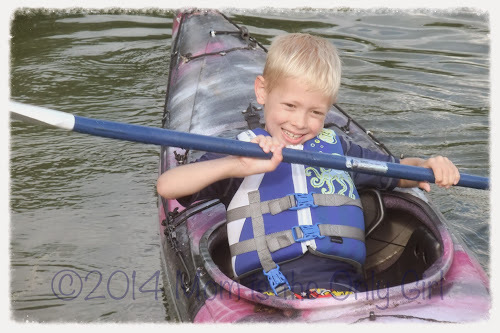 The boys didn’t feel quite as confident on the youth kayaks, as it does seem you are sitting on top of the water rather than inside something on the water, but they are so fun, nonetheless! What have you and yours tried lately?! Remember if you try any new water sports, or old ones for that matter, to always be water-safe. 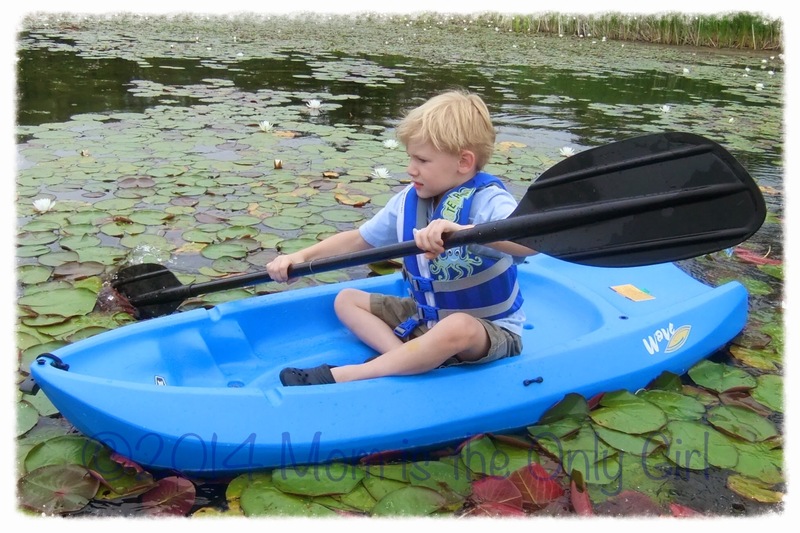 Wear your life vest and only go in the water when a competent adult is around and it is safe to do so. Watercraft in choppy water handles differently than in smooth, so always use caution!